Officials say volunteers help with the success of the combination department, where volunteers and career members work together. 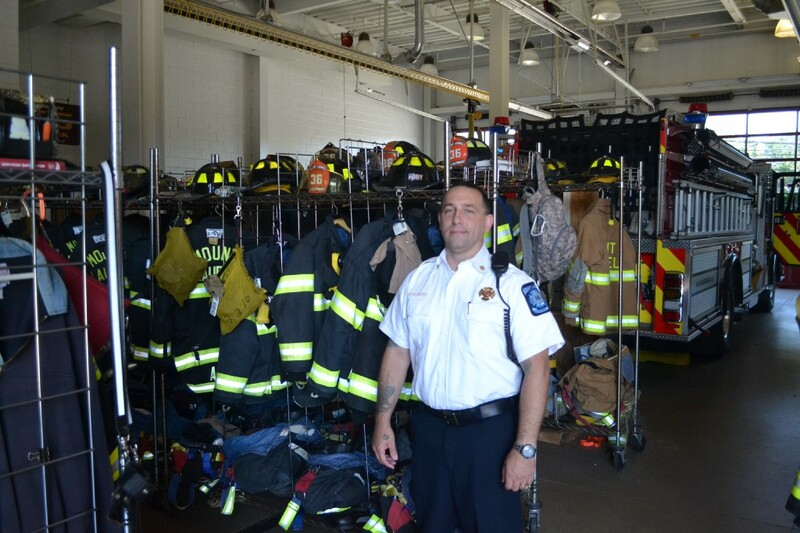 Chief John Colucci of the Mount Laurel Fire Department doesn’t see as many people applying to be volunteer firefighters at his department as he did in years past. Whether it’s more people working two jobs, more people going to college or just changing demographics in general, Colucci said there’s just been a decline in new volunteers. “Volunteerism, nationally, is down, and here in Mt. Laurel we have more affluent neighborhoods, and we don’t seem to get as many volunteers as we used to, for whatever reason,” Colucci said. With Mt. Laurel measuring 23 square miles, Colucci said he has about about 55 volunteers and 43 line officers and firefighters for a department that responded to about 2,700 calls last year. He expects the number of calls for 2017 to top 2016 by year’s end as well. With that in mind, Colucci said well-trained volunteers are necessary to the success of Mt. Laurel’s combination department, where volunteers and career members work together in shifts on the same duty crews. Unlike the more traditional volunteer systems other departments might use where volunteers carry a pager and respond to the firehouse for a call, Colucci said Mt. 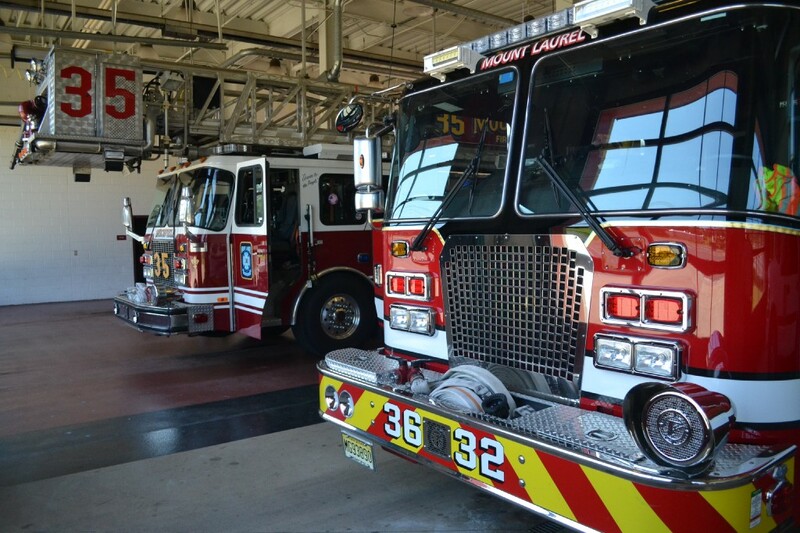 Laurel’s system allows firefighters to respond to a call within four to seven minutes from the time of dispatch. All stations are staffed with career firefighters 24 hours a day, seven days a week, and with the help of uniformed volunteers held to the same training standards as career members on hand at stations for shifts in the evening and overnight, Colucci said Mt. Laurel’s system provides guaranteed coverage for the township. Mt. Laurel Fire Chief John Colucci. “We have a very good relationship with both our union and our volunteers. That’s created an atmosphere that we’ve capitalized on, and it allows us to keep taxes at a lower rate while increasing staffing levels and keeping a good balance of firefighters that are trained and coming to be trained,” Colucci said. In looking for volunteers, Colucci said the department is seeking men and women, ideally ages 18 to 35. He said he also believes the department has an opportunity to target more veterans, females and minorities for volunteer positions to allow the department to better reflect the overall diversity of the town. After applying and passing their medical, physical/agility and background exams and checks, and undergoing training, Colucci said the minimum time requirement for volunteers is one shift (12 hours) per week. 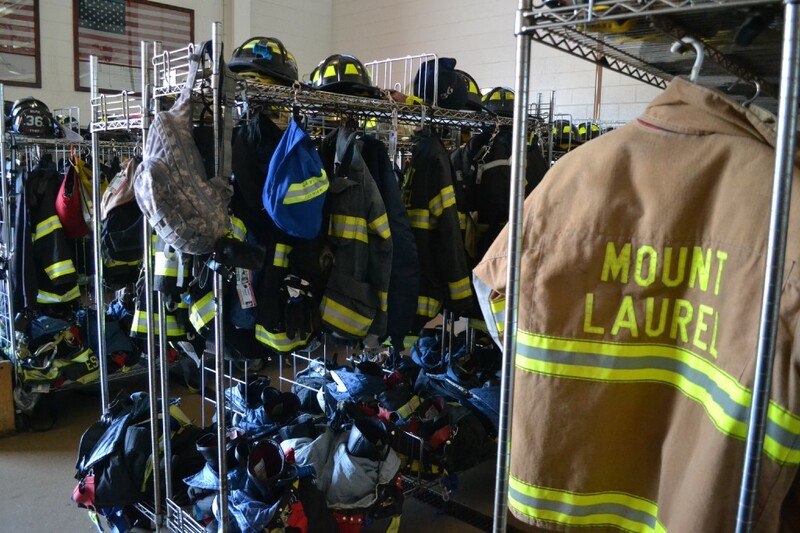 Volunteers with the Mount Laurel Fire Department are also provided with incentives, including a stipend, meals during their shifts, all training and uniforms provided by the department and access to the Length of Service Awards Program that provides volunteers with pension-style benefits someday based on the number of years they have served. Colucci said the department’s volunteers also act as a feeder program for those who look to become members of the department’s career staff someday, with volunteers and residents getting points or preference through their civil service test. James Moyer, now president of the department’s union, also started his career with the department as a volunteer after learning about the comradery and brotherhood of those who serve. Moyer described Mt. Laurel as a complex town for fire service due to the mix of older and newer styles of buildings, high volume of travelers and large size of the area, but he said the career and volunteer staff work together to keep the town safe. “The requirements that the fire department puts on us to keep up with that complexity, I think are justified, and it puts a great product on the street for everyone who lives here and works here or even just travels through,” Moyer said. Overall, Colucci said those high standards of professionalism might lead some people to believe the department has a fully paid staff, and might not even know about the opportunity to volunteer. To learn more about volunteering with the Mount Laurel Fire Department, visit www.mountlaurelfire.com or email Colucci at john.colucci@moutlaurelfire.org.